Some people believe their house of worship is a safe area free from violence, vandalism and trouble — and in most cases they are right. Violent acts, however, in or around worship centers have become more common, and the trend is likely to continue. That’s why many church leaders are now taking a more active role in developing safety plans and adding security upgrades around their buildings and grounds. 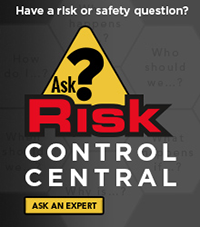 This Risk Reporter will inform on ways you can increase security at your ministry. Use the tips to protect your congregation, your property and yourself from becoming a victim of vandalism or random violence. For more information on keeping your buildings and grounds safe, view "Crime Proof Your Worship Center" at www.churchmutual.com/videos. Make sure the areas surrounding your buildings are just as safe as your place of worship. Here are five simple, but important, upgrades you can make to help ensure the safety of your members, guests and employees. Consider your foliage. Keep all bushes around your buildings trimmed so people cannot hide behind them. Lock your doors. An open-door policy at your worship center is a nice thought, but the fact is, you need to restrict access. Unlock the front door to your worship center only during worship services. Be sure all doors and windows at your other buildings are closed and locked at all times. Keep track of your keys. It’s not unusual for worship centers to hand out multiple keys. Limit distribution to a few people and keep a record of who in your organization has a key. Also, never hide a key outside your building. Rekey your locks if a key is lost or not returned. Turn on the lights. Keep at least one interior light on at all times to give the impression that the building is in use. Outdoor lighting is an inexpensive way to add security around your building and grounds. Ample lighting in the right places makes intruders less likely to choose your building. Your parking lot and street entrances into the parking lot should also be well lit. Invite the community to get involved. If possible, start a Neighborhood Watch program at your ministry. Neighbors look out for one another because they want their community to be safe as much as you do. Ask your local police or sheriff’s department about how to get started. Criminally oriented people will pick an easy opportunity, so don’t let your house of worship be an easy target. Be sure to keep entryways, sidewalks and parking areas well lit. Also, after services, keep your doors and windows closed and locked. The idea is to make your buildings difficult and high-risk targets for potential vandals. It’s hard to avoid reports of crime in the news these days. It seems no one is immune to violence, faith-based organizations included. Creating a security team at your place of worship, however, can go a long way toward ensuring the safety of your employees, members and guests. Here are tips for creating your security team, putting a plan of action in place and setting standards for its operations. Put staff members, volunteers and congregants on your security team. Establish a written security and violent response plan for your organization. Train and use greeters and ushers as a first line of defense to detect potential threats involving suspicious people, packages and vehicles. Establish procedures for patrolling exterior and interior areas before, during and after services, as well as during regular business hours during the week. Conduct a security sweep of the entire building before locking all doors and windows for the day. Ask members to help keep an eye on the property during off hours and report unusual activities to law enforcement. Conduct periodic safety surveys of all buildings and grounds and keep written records of conditions and corrective actions. Call police if a suspicious person is on your property and let the police investigate the situation. Establish a position on onsite armed protection. The best way to protect your house of worship from crime is to put a security management system in place. Many religious organizations have the typical combination of alarms, locks, gates and monitoring equipment. But those aren’t always enough. Today you need to add proven security practices and procedures to complement your security equipment. You should conduct a thorough security assessment of your buildings and grounds, for example. Today, it’s fairly common for houses of worship to ask their local police departments to perform a security vulnerability assessment of the organization’s buildings and grounds. Emergency personnel can show you where your property is most vulnerable. It’s a good idea to take some photos of those areas too, so you can address the issues later. You can create security teams too. Many religious organizations today are assembling in-house security teams. These teams are made up of employees, members or volunteers from the congregation who can help identify potential risks as they occur. Often during a religious ceremony or other organizational function, ushers will be the first to notice a problem. For that reason, places of worship are including them on in-house security teams. Many churches and houses of worship now equip their ushers with earpieces and two-way walkie-talkies, so they can quickly report suspicious activity to the organization’s leaders. If you can, hire trained, professional security. Congregants, employees and volunteers will immediately feel safer knowing there’s a guard on duty. Having security people walking your grounds will also help deter crime. Another security trend at religious institutions today is the addition of 24/7 digital surveillance cameras. Having strategically placed cameras both indoors and out can be a powerful deterrent to vandals. Religious organizations often ignore security. Be sure your place of worship addresses security as you pursue a strategic operations plan. Security at your house of worship needs more attention to ensure there are safe spaces for adults and children to worship, learn and grow. Using the right size lamps and fixtures helps create a feeling of safety for staff, congregants, volunteers and visitors. A good reference guide is the U.S. Department of Energy’s Exterior Lighting for Energy Savings, Security, and Safety. You can view it at http://tinyurl.com/zsrhwns. Also consider replacing incandescent lights with LED bulbs. LEDs are a little more expensive, but they last longer and typically are brighter. Today’s digital cameras can connect wirelessly to a recording system in your main office or directly to your security company. Install them near doorways and other high-traffic areas. Make sure your cameras are near a light source so the images on your video are clear. Many times, audible alarm systems are overlooked in favor of silent alarms. The sound of an alarm, however, is exactly what you need to signal an emergency. The sound also can alert neighbors and passersby to potential danger. Many alarm systems now come with a pulsating strobe light that is visible for miles. This helps you or authorities pinpoint the exact location that needs attention. Deadbolts provide the best possible security of any door locks. You can get models that use letter combinations, passcodes or even your fingerprint to open doors. If you think of your grounds as concentric circles, you want to be sure you have the right safety equipment in each area. In the outer circle, safety typically means controlling foot and automobile traffic. Adding curbs around your grounds is a good way to direct the flow of traffic precisely where you want it to go. In addition, safety curbs or retaining walls offer security benefits. Terraces, raised plant beds, trees, planters, fencing, gatehouses and bollards also are good protective tools. Many houses of worship are using them to divert traffic, provide added security and beautify grounds. Consider temporary barriers for special events or festivals too. Forty-five hundred churches are the victims of burglary each year, with the median burglary loss estimated at $2,000. Establish a neighborhood watch program. Conduct periodic surveys to ensure exterior security lights are working and placed to illuminate building entrances, sidewalks, steps, loading docks and parking lots. Trim overgrown trees and shrubs next to buildings to help eliminate hiding places. Secure local law enforcement for daily/nightly patrols of parking lots and buildings. Ask local law enforcement to conduct a free security vulnerability assessment of buildings and grounds to determine strengths and weaknesses of current security practices. Put an access procedure in place for buildings that require people to enter and leave through a main, monitored entrance door. Reprogram or rekey door locks after a key has been misplaced or not returned. Conduct security sweeps before, during and after worship center events by trained staff. Regularly inspect efficacy of security alarms and/or video surveillance devices. To ensure you are doing all you can to protect your buildings and grounds, visit Church Mutual’s safety resources library at www.churchmutual.com/98/Safety-Resources. You’ll find checklists, videos, brochures and more. If you have specific questions or need help with security planning for your house of worship, call our Risk Control Consulting and Research Center at (800) 554-2642, ext. 5213, or email riskconsulting@churchmutual.com. Awards and accreditations for Church Mutual. © 2019 Church Mutual Insurance Company. All rights reserved. Protecting the Greater Good is a registered trademark of Church Mutual Insurance Company.